The pitcher acquired in the trade that sent James Paxton to the Yankees had a solid first outing for the Mariners. SCOTTSDALE, Ariz. — The debut came a little bit later than he wanted because of the unseasonable rain and a small blister on the middle finger of his left hand, which was more of an annoyance than a problem. But after a three-day delay, Justus Sheffield — one of the prized prospects acquired the offseason stepback — finally stepped on the mound in a Cactus League game. 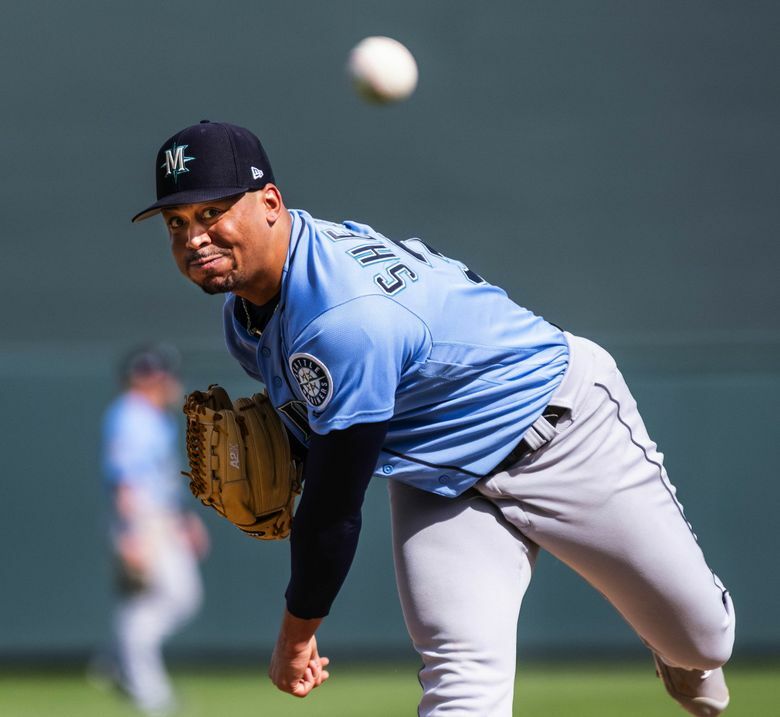 In two scheduled innings of work, he provided a peek at the potential the Mariners believe will make him a front-of-the-rotation starter when their “re-imagined” roster comes to fruition in either 2020 or, more realistically, 2021. Sheffield tossed two scoreless and hitless innings, striking out four of the eight batters he faced while issuing a walk in the Mariners’ 4-2 win over the Rockies at Salt River Field. Following the outing, Sheffield’s adrenaline was still evident. He was excited about getting on the mound for a new team. Sheffield, who was acquired from the Yankees in the trade for James Paxton early in the offseason, had to wait for two innings to get into the game. Fellow lefty Wade LeBlanc got the start and had the first two innings. It wasn’t a clean start to his first appearance. When he entered the game in the bottom of the third, Sheffield got up early on Garret Hampson with a 1-2 count but walked him. That isn’t an optimal result for the first batter he faced this spring. With perennial NL MVP candidate Nolan Arenado at the plate, Hampson stole second to get into scoring position. “I just got a little ahead of myself,” Sheffield admitted. But second baseman Dee Gordon offered some advice and encouragement. Sheffield got Arenado to ground out to Gordon for the first out of the inning. He appeared to get the second out of the inning while keeping Hampson stranded on third when Daniel Murphy popped up out to shortstop. But Jose Lobaton was called for a catcher’s interference, putting runners on the corners with one out. There was no panic from Sheffield, only execution. He came back to strike out Ian Desmond and Chris Iannetta looking to end the inning. Sheffield’s second inning was far less dramatic. He struck out Pat Valaika, got Brian Mundell to ground out to short and struck out Noel Cuevas. Sheffield threw 33 pitches with 21 strikes. The small blister that had bothered him days before was no longer a problem. The Mariners want Sheffield to work on his changeup this spring and use it more often. They feel if he can develop the pitch it will offer another weapon to go with his sinking mid 90s fastball and biting slider. The pitch is ahead of where the Mariners expected to be this early in spring. It’s a credit to that offseason work. The early positive results with the pitch will certainly provide motivation to continue throwing it often this spring. Sheffield is expected to be a part of the Mariners’ rotation by the end of the season. But if he continues to develop the changeup and puts up expected results with Class AAA Tacoma, that move could be expedited.